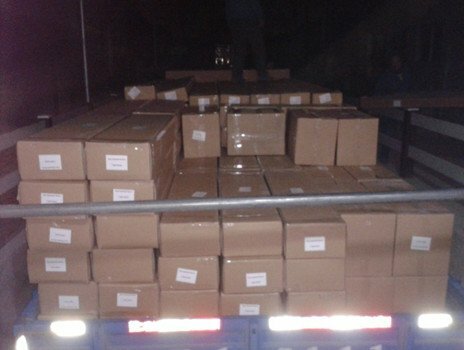 We provide gate for pedestrain or for trucks. The height matches the PVC fence height. High quality hardwares such as hinge ,latch and locks are provided. 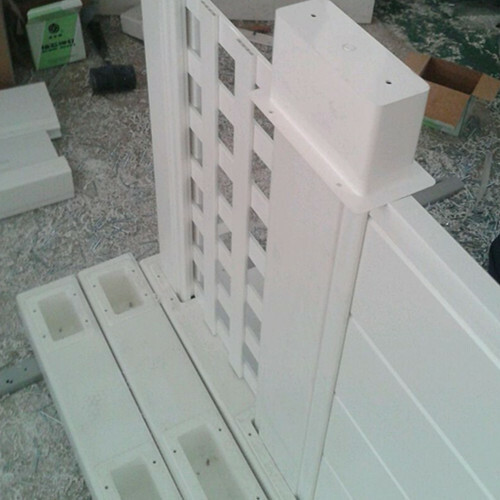 The gate could be assembled by our factory.It is ready to be installed! before purchasing, we provide details drawing and quotation, design size based on your landscape and needs. 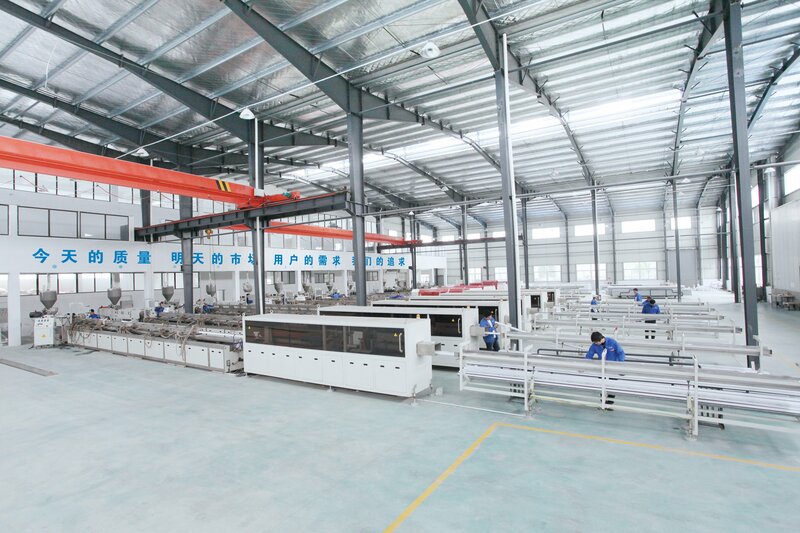 We could provide warranty, any problems, could contact our sales anytime to solve. 1. What is Jovyea Vinyl fence? Jovyea vinyl fence profile: It is made from rigid Polyvinyl Chloride (PVC) Resin, and other critical ingredients such as UV inhibitors, impact modifiers and stabilizers. 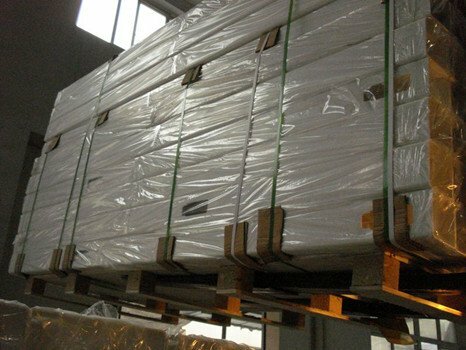 Using only premium grade raw materials, the formulation is built upon advanced technical experience in the PVC industry(Pvc window, doors, panels, fences). This gives the material long-term durability, flexibility , weather ability, and low maintenance. 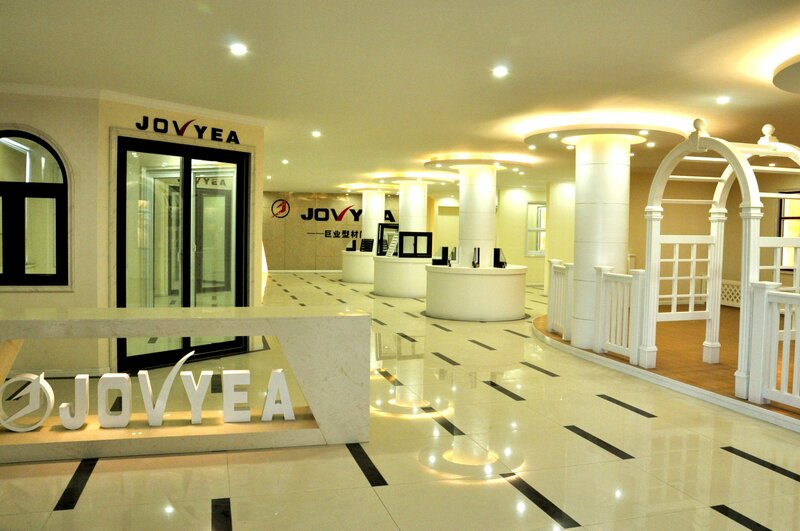 Jovyea fence: Cuts the wide variety of profiles to the proper length for the design of fence required. 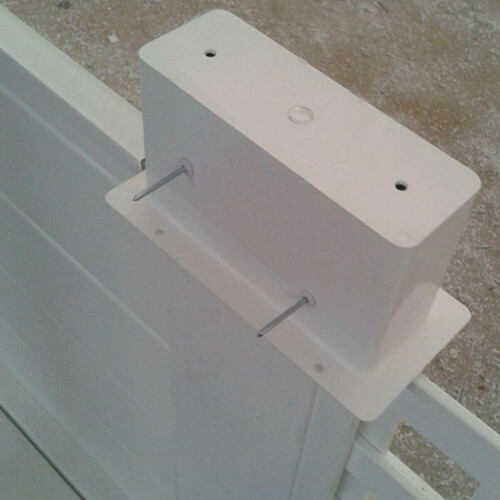 Then routes holes into the rails, so that pickets can be inserted into them, then holes are routed into the posts so that the rails can be inserted into them.The fabricator assembles the completed fence sections, put the rail into post, the picket into rail, and post and picket cap. At last, fabricator install the fence. 2. Will Jovyea vinyl fence yellow? Jovyea fence use a superior durable grade and high content (10 parts per 100 parts) of non-chalking TiO2(titanium dioxide) and ultraviolet inhibitors that protects the vinyl (PVC) from the harmful effects of the Suns UV rays. As long as your fence is kept clean, with a periodic wash from a garden hose, it will not turn yellow. 3. WILL Jovyea fence WEATHER OR HAVE COLOR VARIATION (CHANGE COLOR/FADE)? Yes. The weathering process is completely natural and doesn’t negatively impact the product. 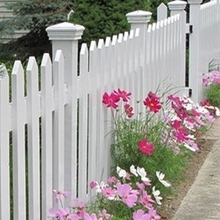 Typically, sometime after installation, the Fencing will fade to a lighter color,especially the colored fence. Natural Weathering. The product receives heavy pigmentation during manufacturer to allow it to settle into a lighter shade when weathered. Under normal conditions, exposure to sunlight and rain are typically required to achieve its weathered color. This process is completely harmless to products and does not affect the durability. The post caps and top rail will fade the fastest because of their direct exposure to the elements. Because of their vertical orientation, the pickets and post faces may take considerably longer to fade. The “after-weathering” color may be a little different from the colors shown on the Colors page. 4. Do Jovyea vinyl fences and rails become brittle in winter? Vinyl become less flexible in colder weather conditions. However, unless subjected to unusual impact, it will not break or crack. Huazhijie Vinyls components are designed to accommodate normal temperature swings. The impact inhibitors we use to prevent breaking also help our components withstand cold weather conditions. 5. Will Jovyea vinyl fence crack, chip, peel, or rot? Jovyea Vinyl fence and railing are engineered to withstand surface cracking, chipping, peeling and rot for their full service life. Vinyl fencing will contract and expand according to the temperature. This is normal and expected, Your contractor will allow for expansion and contraction during the installation process. 7. How do vinyl fences stand up to the wind? Jovyea vinyl fences are designed to withstand normal wind loads. 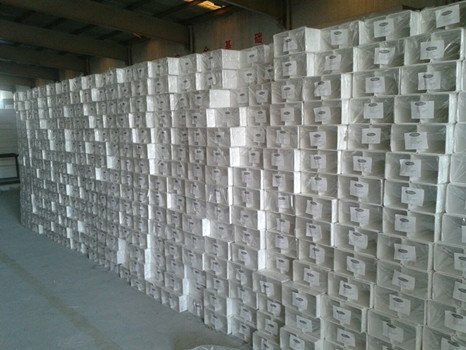 The amount of load is dependent on the style of fence, installation of the posts and horizontal rails. 8. How long willJovyea Vinyl fences or railing last? 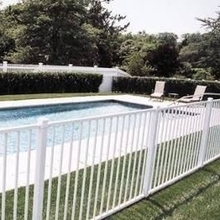 Jovyea vinyl and composite are designed to make fences and railing to last a lifetime. All of our products carry a fully transferable, non-prorated lifetime warranty. 9. 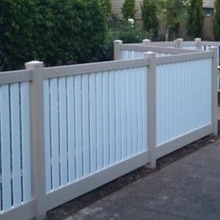 How does the cost of Jovyea vinyl fencing compare with traditional wood fences? The initial cost of vinyl (PVC) when compared to wood is slightly higher for the material costs in most regions of the country. However with the ever-increasing cost of wood this difference is becoming very minor in some regions. vinyls long-term, maintenance-free, durability more than makes up for that cost difference. When all the varied cost factors are taken into account over the life of your fence, vinyl becomes the true money saver. 10. Do Jovyea Vinyl Fence come with a warranty? Yes. Our warranty lasts the lifetime of the original purchaser, and even covers materials (repair or replacement), and freight and labor costs. 11. How popular is Jovyea Vinyl fence used? Jovyea fence is popularly used everywhere such as estate districts, houses, park and garden, farm, parking and houses area, and etc. 12. How safe are Jovyea vinyl fence systems? Unlike some treated wood fencing, vinyl is an environmentally safe material with no toxins to pollute the sky or seep into the ground. Vinyl fencing has a smooth non-porous surface with no nails¡ splinters. Your children and animals are actually safer when compared to wood fences. Most paint, including graffiti, can be removed from vinyl fencing with relative ease using ordinary detergent and water. In some cases, you may need to use a pressure washer, and for really tough cases, you may need a paint thinner or dry cleaning fluid. If some spots still resist these methods and cleaners, you can use 400 grit sandpaper to remove them. 14. How do I clean my vinyl fence? 15. How are Jovyea Vinyl fence systems installed? 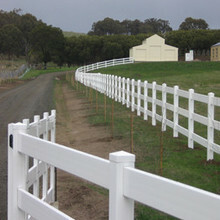 Jovyea vinyl fence systems install much like a wood fence. 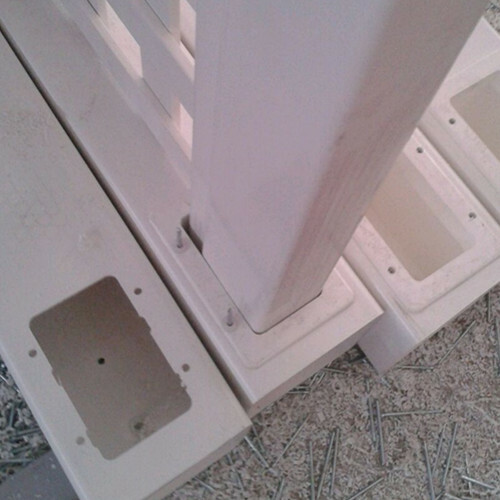 The posts come routed from the factory and the components are precut for standard installation. Rails are inserted into the routed holes in the posts. The heavier wall post and rail configuration along with the notched rails contributes to greater resistance to pullout and stronger fastening for better performance. Post caps are attached after the fence is installed. The New "H" post, no routing and no notching needed, it fits any shape of land, could be installed in 5 minutes for one sets, save allot of labors. 16. Do you cement the fence posts? We recommend that you treat vinyl posts the same as you would wood posts. If it is common and normal to cement wood fence posts in your area then you should cement vinyl posts. 17. Can you add gates? Yes. Gates can be made to match your Jovyea Vinyl fencing.